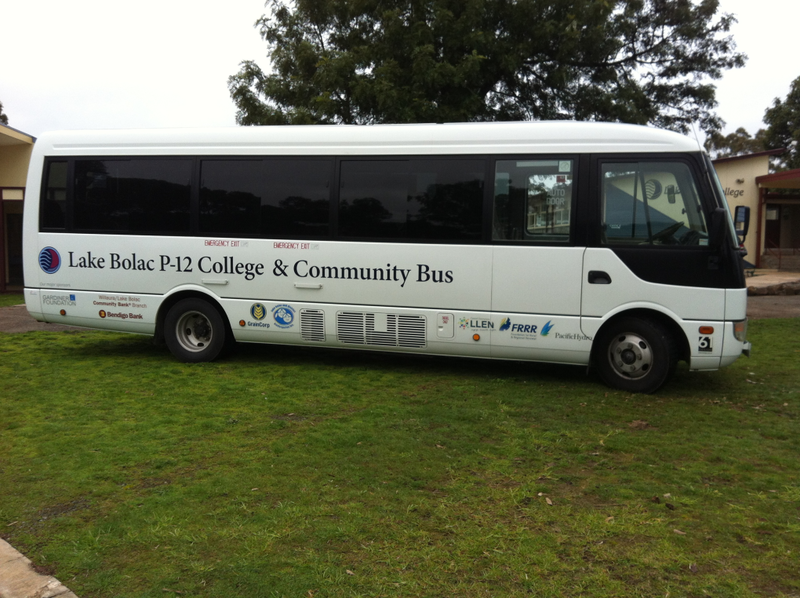 Due to overwhelming community support and generous financial contributions the successful Lake Bolac P-12 College and Community Bus fundraising appeal raised a very impressive $56,267.98 enabling the bus purchase, on road costs and sign-writing. The community can now proudly get on board their own 24 seat mini bus which was officially launched by the appeal committee, sponsors, students and community members in a morning tea celebration. The bus is locally managed for the local community through the College office. It is available immediately for hire to local community organisations, businesses and individuals. Please contact the College office on 5350 2302. Please download the bus hire form for more information on fees and our terms and conditions.